If you win Chilled Flavors' ice cream eating contest this Saturday, you'll win one small cup or cone a week for an entire year! 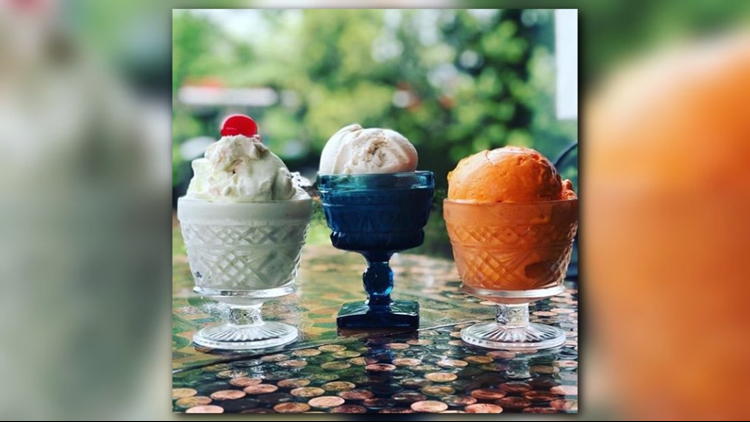 If you've always wanted to win ice cream for a year, then you have to enter the ice cream eating contest hosted by Chilled Flavors in Ponte Vedra this weekend. Owner Amy Bedwell says there will be three contests on Saturday, April 20 -- two for children and one for adults -- at their homemade ice cream shop, located at 10930 US-1 Suite B. The contests are expected to start around noon. The contests will be a part of their anniversary celebration. "This week is our anniversary," she said. "We have been open for a year." Bedwell says the contests are just part of their major celebration on Saturday. "There will also be a bouncy house in the shape of an ice cream truck," she said. "Face painting. It's all free, you only have to pay to get into the ice cream eating contest." The entry fee is $10 for kids and $20 for adults. To participate, you must register for the contest by Wednesday, April 17. "The kids are going to get a cookie monster sundae," Bedwell said. "It's timed. Each child will have the same weighted sundae. Whoever can eat the most ice cream in the amount of time will win." She said adults will have an "absurdly large sundae that I don't think they'll finish." The winners will be awarded trophies, in addition to winning ice cream for a year (one small cup/cone a week). She said everyone who enters, whether you're a kid or adult, will get free ice cream (one small cup/cone a week) until Memorial Day weekend. "And that's just for entering!" she said. "Once a week, get a small cup or small cone. That's a steal." All of the proceeds from the ice cream eating contest will benefit the non-profit, the ARK Wildlife Rescue & Rehabilitation. Anniversary Celebration: Starts at 11 a.m., runs until 10 p.m.